Don’t let love be a mere outward show. Recoil from what is evil, and cling to what is good. Love each other devotedly and with brotherly love; and set examples for each other in showing respect. Don’t be lazy when hard work is needed, but serve the Lord with spiritual fervor. Rejoice in your hope, be patient in your troubles, and continue steadfastly in prayer. Share what you have with God’s people, and practice hospitality. Bless those who persecute you—bless them, don’t curse them! Rejoice with those who rejoice, and weep with those who weep. Be sensitive to each other’s needs—don’t think yourselves better than others, but make humble people your friends. Don’t be conceited. Repay no one evil for evil, but try to do what everyone regards as good. If possible, and to the extent that it depends on you, live in peace with all people. Sha’ul tells us how we are to live as believers, first and foremost is to be honest about our love for our fellow man and not just faking it. Stand by fellow believers and support them, be respectful of all people. As part of that being respectful bless those people who seek to tear you down in some way, that is a mark of a follower of Yeshua. Don’t give evil for evil because that just makes us like everyone else in the world without God, but do always what is right by the Word that Adonai has given us. Abba help me to be this man. You know I can be quick to anger is offended and even quicker if anyone offends someone I love. Let me be that steady hand that delivers Your Word instead of personal vengeance. I ask this in Yeshua’s name, amen. So you will say, “Branches were broken off so that I might be grafted in.” True, but so what? They were broken off because of their lack of trust. However, you keep your place only because of your trust. So don’t be arrogant; on the contrary, be terrified! For if God did not spare the natural branches, he certainly won’t spare you! So take a good look at God’s kindness and his severity: on the one hand, severity toward those who fell off; but, on the other hand, God’s kindness toward you—provided you maintain yourself in that kindness! Otherwise, you too will be cut off! Moreover, the others, if they do not persist in their lack of trust, will be grafted in; because God is able to graft them back in. For if you were cut out of what is by nature a wild olive tree and grafted, contrary to nature, into a cultivated olive tree, how much more will these natural branches be grafted back into their own olive tree! What, then, does it say? that is, the word about trust which we proclaim, namely, that if you acknowledge publicly with your mouth that Yeshua is Lord and trust in your heart that God raised him from the dead, you will be delivered. For with the heart one goes on trusting and thus continues toward righteousness, while with the mouth one keeps on making public acknowledgement and thus continues toward deliverance. Trusting in Adonai is more than just accepting that He exists. There must be action that shows our trust. If we truly have an indwelling spirit of God we are compelled to help our fellow man and we express that by telling others why we are helping them, for the sake or the love that Adonai showed us in that He offered His one and only Son, Yeshua, to show us the ultimate love and sacrificed Himself for our sins. Dear God may I always be worthy to participate in Yeshua’s sacrifice, I ask this in Yeshua’s name, amen. I was with him as someone he could trust. The first thing created outside time and space was wisdom. In everything else there is forethought and design which cannot help but to show the hand of the Creator. Glory to God in the Highest who formed all things! 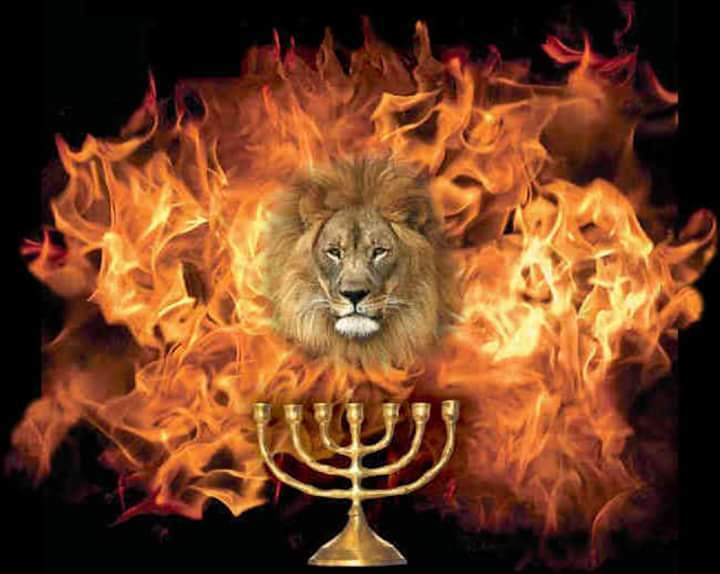 How do the very stones cry out in praise of Adonai! Thank You God, Thank You, amen. All I can say is that this is a comfort to me today. We have had a lot of stressors in our life this past couple of weeks, most with which we have no control or input over. Yet we are preserved by constantly leaning on Adonai. He guards our path as we follow His will. Praise You God for all You have given us. Glory to You in the highest for Your mighty hand. Lord in my times of weakness please don’t turn Your face from me, I ask this in Yeshua’s name, amen. As parents we cannot control our children. We can guide them, we can teach them, we can offer advice, but we cannot control them. At some point we have to abandon them to their own choices and pray to Adonai that they will make the right ones. It is with that prayer and standing in the gap for our children that Adonai will honor us as He did David. David unlike any other man, except maybe Moshe and Abraham pursued righteousness and God’s heart. God remembered that even as He rewarded Shlomo for his failures. Lord forgive me for my rebellion against all that my parents have taught me and let me stand in the gap for my children as they come to know You more intimately. I ask this in Yeshua’s name, amen. But not only that, let us also boast in our troubles; because we know that trouble produces endurance, endurance produces character, and character produces hope; and this hope does not let us down, because God’s love for us has already been poured out in our hearts through the Ruach HaKodesh who has been given to us. It is easy to worship Adonai when we are living well, but it is those times of trials that shape us in our trust in Him. As Sha’ul wrote if we can endure through the hard times, then the character of our witness for Adonai improves and with it the ability to give others hope to build trust in Adonai. All this is possible by confessing our sins and accepting Yeshua’s sacrifice so that the Ruach indwells and strengthens us. Abba thank You for a path of salvation. Thank You for Your love of us. Thank You, God, for You, amen. along with everyone who trusts in them. When we trust in our own selfish nature we remove the opportunity to speak with our Creator. Without His counsel and protection we are nothing more than the dust from which we are made. It is only by turning to Adonai the author of all life and trusting in Him that we can be saved. Abba continue to strip all idols in my life that would prevent me from hearing You. I ask this in Yeshua’s name, amen. for ADONAI our God is holy! It is really that simple, Exalt Adonai for He is holy! Praise You God! Amen! To those who seek glory, honor and immortality by perseverance in doing good, he will pay back eternal life. But to those who are self-seeking, who disobey the truth and obey evil, he will pay back wrath and anger. It really can’t be plainer than what Sha’ul has written. You believe in Adonai and you do what He would have you do or you only believe in yourself and you do selfish things. Each will be rewarded by our Just God. Abba let me continue to serve You. Censer me when I am straying and focusing on myself and not You so I may return to the body. Keep me safely in the palm of Your might hand. I ask this all in Yeshua’s name amen.